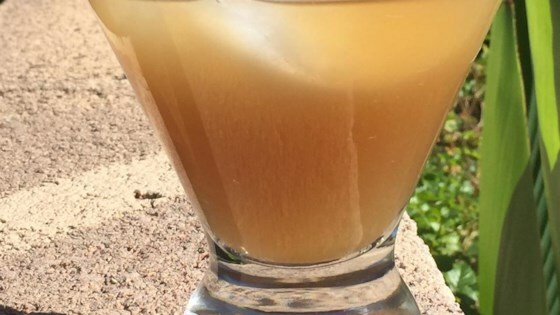 "My wife loves Kamikaze cocktails and I like bourbon, so I figured I would combine the two. Most people seem to like it. It's a good summer drink. Play with the simple syrup and soda water to adjust the taste to your liking." Stir bourbon, triple sec, lime juice, simple syrup, and club soda together in a cocktail shaker. Fill a glass with ice and pour cocktail over ice.